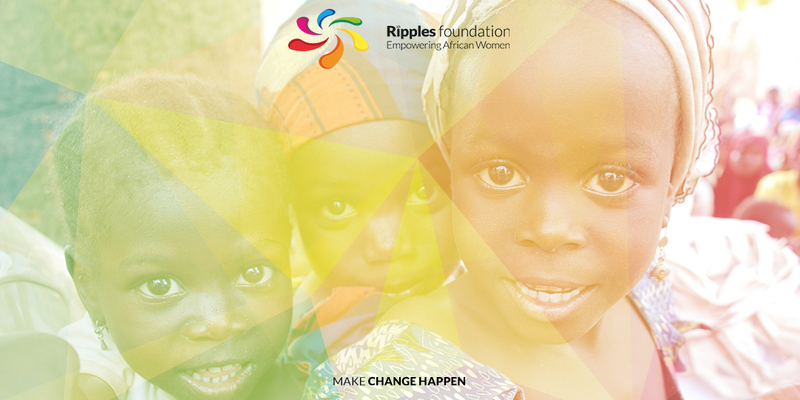 Here at Ripples Foundation we fully support the fight for gender equality, and our projects in Africa are designed to empower women to work their way out of poverty and achieve their full potential. Whilst poverty-stricken African village women struggle to make ends meet, women in richer countries have a different fight on their hand. In the UK and US, on the surface it seems that women are equal to men in most ways, both emotionally and economically, but when you dig a little deeper you can see that there are still some instances where men are favoured over women. Take cinema for instance. Film can act as a huge driving force for change and has the ability to make people see subjects in a different way. That is why it is so important that women are represented equally on screen, so that the roles they play are seen as the social norm. Sadly, that doesn’t seem to be the case just yet. We are in 2015, a year which the African Union has declared the year of women’s empowerment, and still women are not earning an equal wage to men doing the same jobs. Although actresses in Hollywood could never be described as hard done by when it comes to their pay packets, it is a good scale to measure gender differences from. Last year the top 10 highest paid actors in Hollywood collectively earned $465 million, whilst the top 10 highest paid actresses in Hollywood collectively earned $181 million - still a huge amount of money but when compared to the men’s earnings it is less than half what they rake in for doing the same job! So why are they paid so much less? The answer could be hidden in the statistics behind the big screen. As actresses get older it seems the number of roles they are offered decreases, whilst for actors their opportunities increase. While men apparently can age like a fine wine, it seems that the value of women is determined by their youthfulness. In 2014, the majority of female characters were in their 20s (23%) and 30s (30%), and the majority of male characters were in their 30s (27%) and 40s (28%). The concept of women featuring in films as young, attractive love interests for older men has been around since the start of the silver screen, and today still roughly a third of all female speaking characters are shown in sexually revealing attire or are partially naked. You could argue that men have also started to get a bit racier, with films like Magic Mike springing to mind where the actors haven’t hesitated to get their kit off in the name of entertainment, but it isn’t quite up to the same levels of objectification that actresses face in their everyday working lives. In the last few years we have had a surge of fantastic films driven by strong female leads, with 2011’s Bridesmaids being the best example. Written by women and starring a hilarious female cast, the film was a massive box office success and showed the world that ‘buddy comedies’ don’t just have to revolve around a group of men. 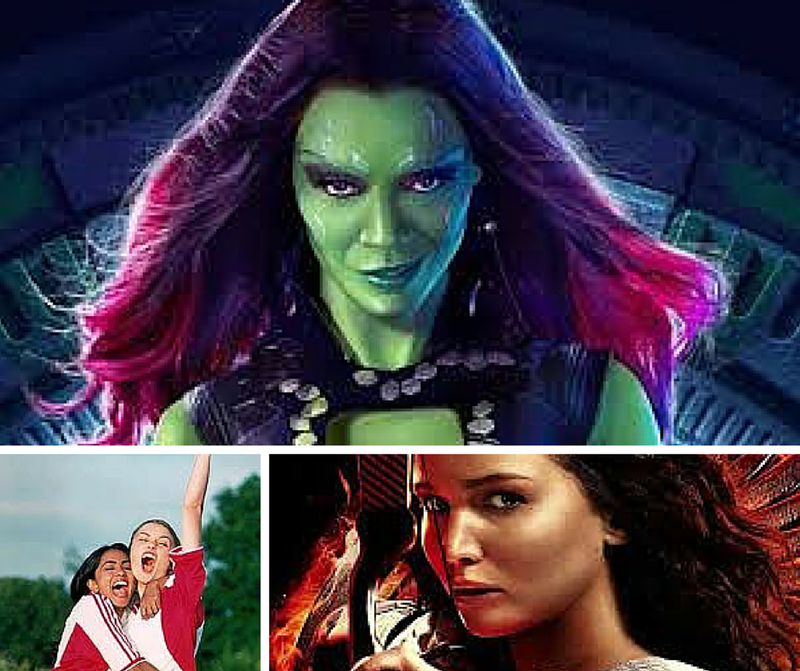 Katniss Everdeen in The Hunger Games showed us that not all action heroes are men, and Jess Bhamra in Bend It Like Beckham introduced us to the little-known world of professional women’s football. If films such as these keep being made, maybe in around 20 years time we can finally achieve gender equality in world cinema. Obviously the issues and inequalities that Western women face are by nowhere as extreme as the issues that we tackle here at Ripples that poor African village women face, but it is important that gender equality stays at the forefront of people’s minds as empowering women in developed nations sparks debate in other countries, and is the driving force behind empowering poor village women in places such as sub-saharan Africa. 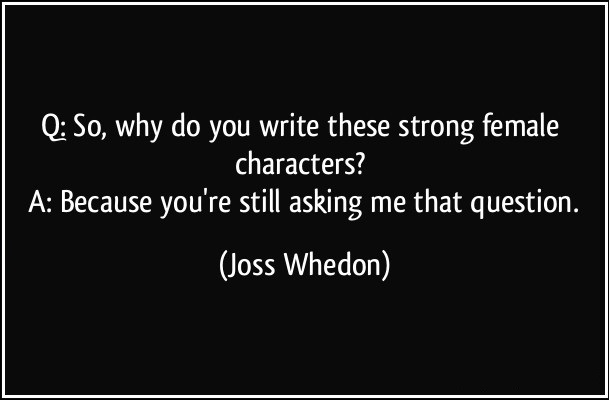 So keep up the great work #HeForShe campaigners, female producers and directors , we are backing you all the way! You may have heard that the 2015 Women’s World Cup kicked off last weekend in Canada, but how much do you actually know about the tournament and the women playing? The Women’s World Cup, run by FIFA, only started in 1991, and this year the competition has increased as 24 teams have qualified, including 3 African nations: Nigeria, Cameroon and Ivory Coast - a sure sign that the sport is growing in popularity. However the sport still has a long way to go if it wants to reach the dizzy heights of popularity that men’s football enjoys. For years we have watched women excel in sport, and events such as the Olympics regularly show the world that ANYONE can succeed if they work hard enough, regardless of your gender. However for some reason, football is almost exclusively seen as a ‘man’s sport’. Maybe this is because we are so used to cheering on men that we forget that women can also play, but for those people who think that the women's football can’t be as skillful or exciting, here’s a few facts to prove you wrong! The England women’s team is 6th in FIFA world rankings compared to 15th place for the England men’s team. Brazil’s Marta Vieira da Silva (nicknamed ‘Pele in a skirt’) has scored an incredible 79 goals in 91 games! 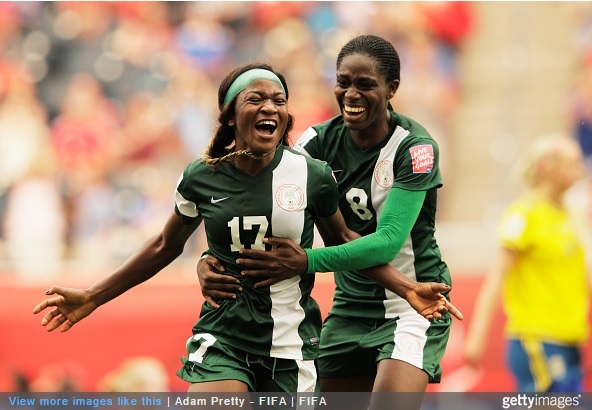 Nigeria’s Asisat Oshoala recently won the inaugural BBC’s Women’s Footballer of the Year Award, in response to her fantastic performance at last year’s Under 20 World Cup where she was the top goal scorer. Tired of seeing players roll around on the floor in agony from just a simple tackle? Well according to a study, women fake injury HALF AS MUCH as men do and get up 30 seconds faster on average, leaving a lot more time to actually play football. The women’s tournament is very unpredictable, and last weekend saw Germany take a 10-nil lead over Ivory Coast, with 4 goals being scored in 14 minutes at one point! Nigeria and Cameroon have faired much better than this however, with Nigeria securing a very surprising 3-3 draw against the 5th best team in the world Sweden, and Cameroon winning 6-0 against Ecuador. However, as good as women’s teams are they simply do not get as much coverage or respect as their male counterparts. England Women’s team captain Steph Houghton earns around £25,000 a year from playing football, the national average, but compare that to England team captain Wayne Rooney who earns a £15.3 million a year, and you can see the vast gender difference between 2 people who do the same job! It is the same story when it comes to sponsorship. According to the Women’s Sport and Fitness Foundation (WSFF), a shocking 0.5% of all money invested into sport in the UK goes to women’s sport, with men’s sport getting a huge 61.1%, and team sports given the rest. With facts like this is it easy to see how women’s sport is staying under the radar! This year FIFA have made a small step towards promoting women’s sport by including women’s international teams in their upcoming FIFA 16 game. This may seem fairly insignificant but the popularity of the game means the women’s teams will be seen by millions of people and could help start to break down the barriers that are preventing women’s football becoming mainstream. Another glimmer of hope comes from the BBC, who this year are showing the Women’s World Cup matches on BBC2, BBC3 and via the red button for the first time in its history, opening up the game to more potential viewers. Hopefully this increased coverage of the tournament will be the start of changing perceptions of women’s football for good. Good luck to all the teams involved (but come on England! ), you are making huge leaps and bounds for equality in sport and doing your country's proud! 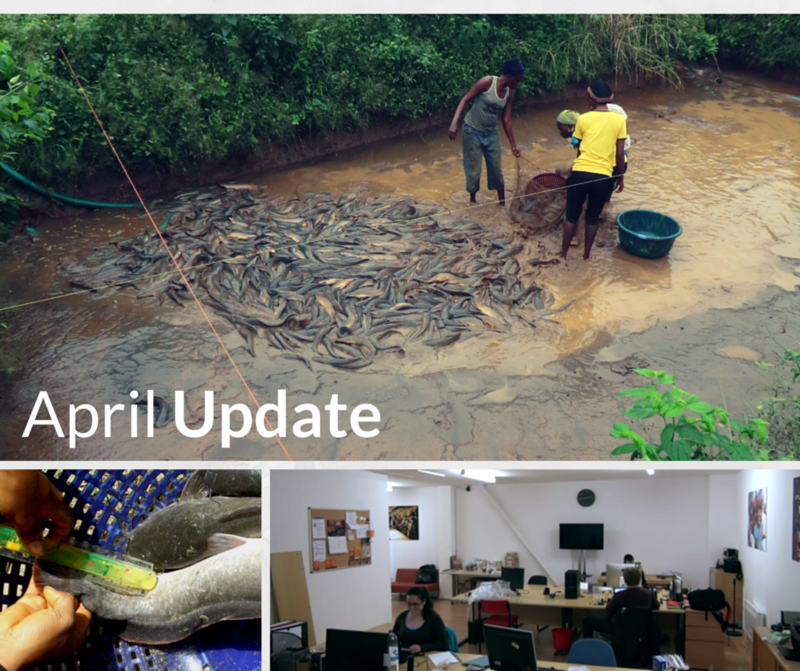 We had quite a few developments here at Ripples in April, both in the UK and in Africa. At the start of the month we had a makeover here at our base in Gravesend, UK to shake up the layout of the office for a more organised atmosphere. 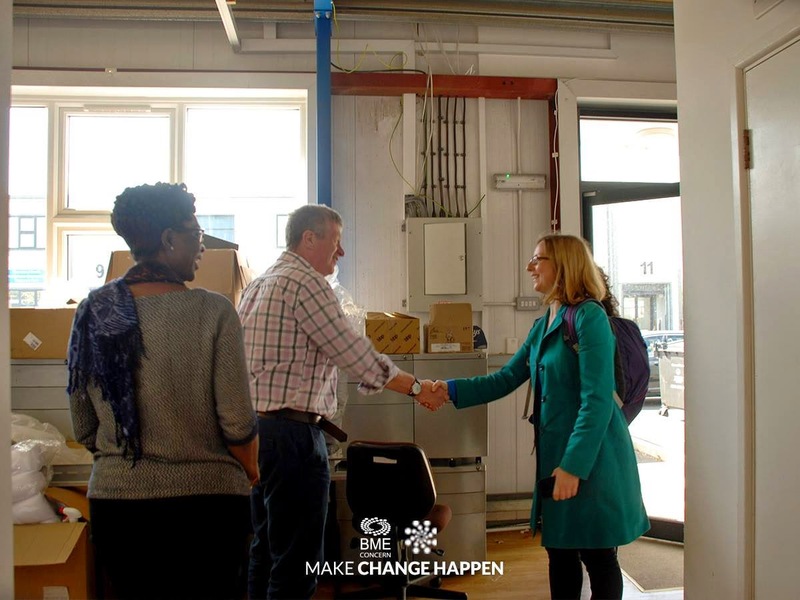 We also had a visit at the end of April from one of our partners, In Kind Direct, who supply us with donations that can be shipped over to Africa. 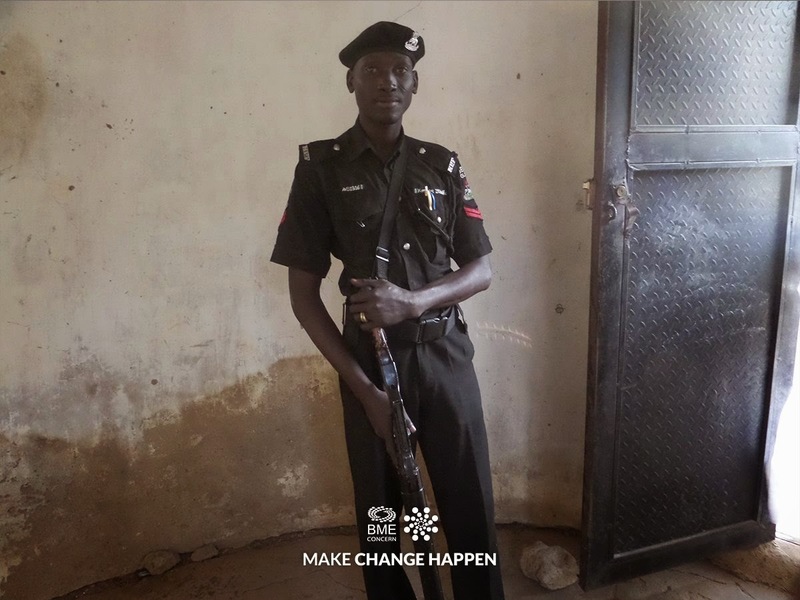 Most recently they supplied us with a donation of 1000 hockey sticks that were sent to Nigeria and given to a number of schools to help with their youth development. They were here to meet with our CEO Anne Phillips and take a look around our office and warehouse, to be filmed for a video showcasing the great work that they do for charities just like Ripples. It was an impromptu visit for us, so look out for a few camera shy faces in the background of the video when it’s released! Over in Africa our team travelled to the village of Iworo in Nigeria, sponsored by the Oduntan family, to meet the women working at a fishery business, which is part of our women’s enterprise programme, and to inspect the new fishery site. We make sure to visit the businesses on our women’s enterprise projects on a monthly basis, so we can review how the business is being run and to resolve any issues our women may have with the work. This visit was particularly exciting for us as we got to see the site that has been selected as the location for the new fishery ponds, a development that will help the women to increase the amount of fish that they can produce and also increase the size of each fish so they can sell them on for a higher amount of money. It is developments like these that makes our work so rewarding: first we help set up a business from nothing, and then we can watch it grow and thrive through our women's hard work and the generosity of our sponsors. Iworo is part of our Adopt A Village programme and is sponsored by the Oduntan Family Foundation, who have funded all the projects that we have running in the village. We simply couldn’t do our work without the fantastic support we have from the Oduntan Family and for that we say thank you! If you would like to donate to Ripples please click here: https://www.totalgiving.co.uk/donate/bme-concern and give what you can! No donation is too small, and we thoroughly appreciate your support. How many more people will have to drown until we finally act in Europe? Last week saw the horrifying news of around 900 migrants drowning off the coast of Italy, as they made their way across the Mediterranean from Africa. Unfortunately this story isn’t as shocking as it should be, as last year alone up to 219,000 refugees crossed the Mediterranean and 3,500 of these people died in the attempt. Already in 2015 the number of migrants reaching Europe by sea stands at 36,390. Australian PM Tony Abbott has said that the EU should adopt tougher immigration laws, and even go as far as to deploy the army to stop migrants from landing on European soil. But this isn’t just a game of numbers, we need to remember the human faces behind these statistics. This seems to be a very defensive reaction to the problem, and perhaps we should be asking ourselves more useful questions like: What is happening in their homelands that is driving so many people to risk their lives to reach Europe? These people are not taking this dangerous journey without first thinking that there is nothing left to lose. There are many reasons why migrants want to leave Africa, such as war, disease and extreme poverty. In order to tackle the migration problem, surely the best and most logical solution is to aid and improve the conditions in their home countries? If they lived in a place where they could see a future for themselves, then surely they would not want or need to seek help elsewhere? One way to tackle these issues is to donate and invest money into charities that are working hard to improve conditions for thousands of people in poorer countries. This is exactly what Ripples is working tirelessly to do. 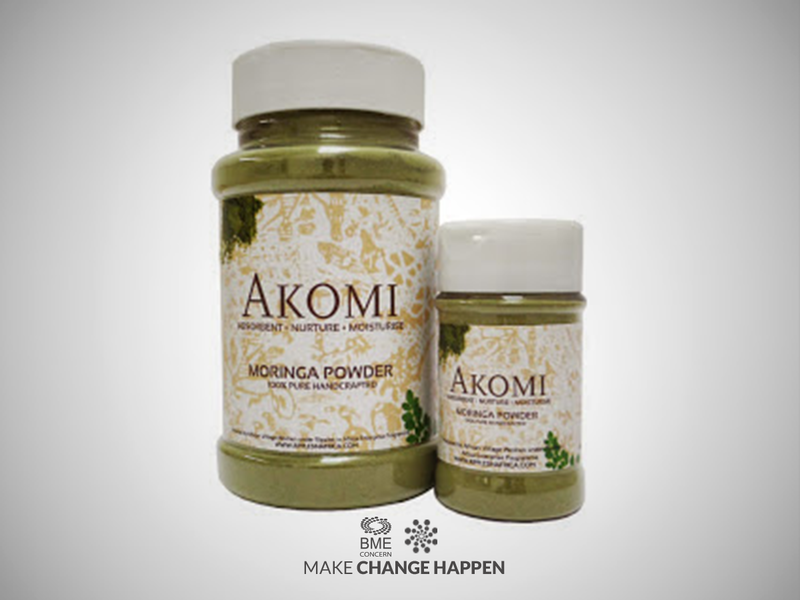 We use donations from across the world to empower women living in small villages and give them a ‘hand-up’ out of poverty. We believe that when provided with the necessary resources, women have the ability to become self-sufficient, and in turn support their families and communities. We also provide free healthcare and medical check-ups regularly to villages as part of our Adopt A Village program, and through these initiatives we hope to break the cycle of poverty and transform their lives forever. 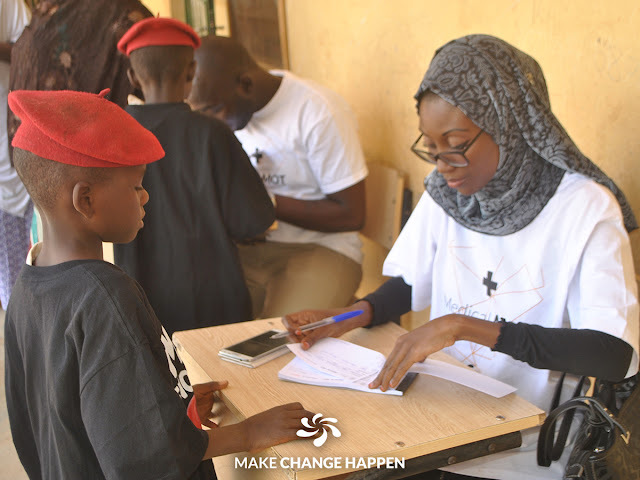 We aim to start a ripple effect across Africa, through strengthening small communities to create a more stable future: an Africa that more people will want to live and thrive in. In wealthy countries like the UK and the USA, we have the luxury to be able to help poorer countries achieve their full potential, and that is an opportunity that should not be passed up on. 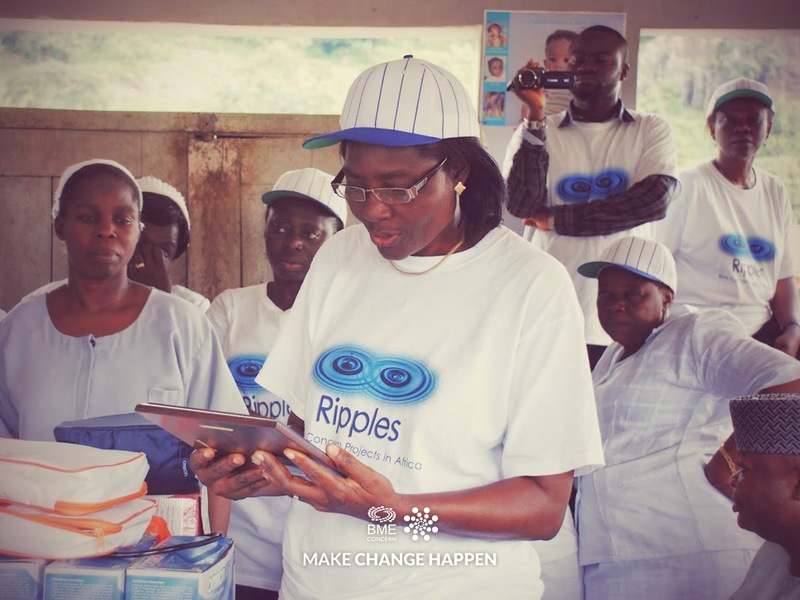 Check out our YouTube channel https://www.youtube.com/user/ripplesinafrica/featured for information and updates on our projects and to hear first hand from the women who are benefiting from our work. 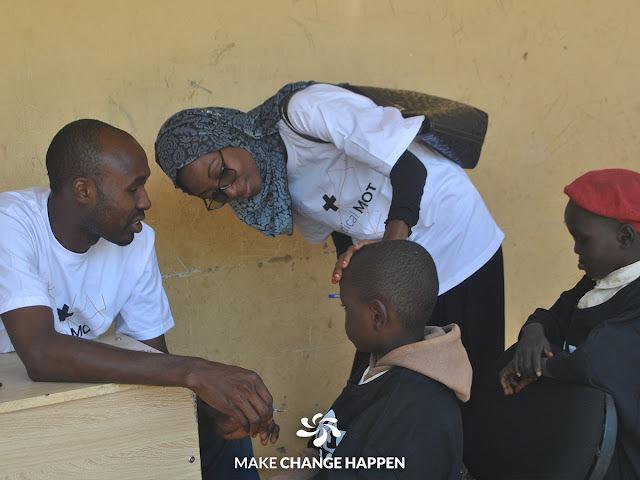 To contribute towards a brighter future for Africa and make change happen, please donate by clicking the link below. Exciting work has begun in 4 new villages thanks to the sponsorship of the Nigerian Port Authority, as part of our Adopt A Village program. 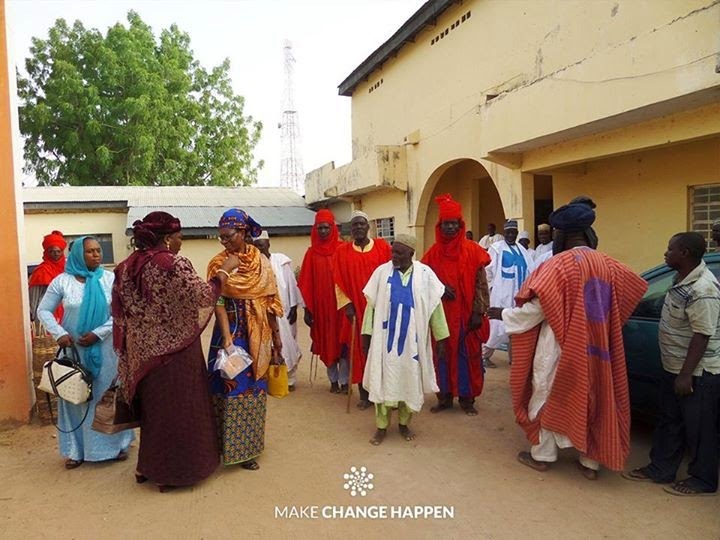 We kickstarted the project in Iworo, where the Ripples team met with the traditional village chiefs. This is for us to show a mark of respect and is essential to Ripples being able to carry out any further work in the community. By adopting a village, the NPA has ensured that Ripples have the resources to help the villagers gain access to free health care check-ups, medical supplies, and have the opportunity to start their own small business through our women’s enterprise projects. These small businesses are micro-financed by Ripples to give women a ‘hand-up’, generating enough income to support their family and community, working their way out of poverty. This is a lifeline for many African villagers who are surviving on just $1 a day to support themselves and their families, in countries where there are no social services or free health care, where a lack of adequate medical care accounts for high mortality rates, especially in children, with 1 in 10 children in Africa dying before their tenth birthday. 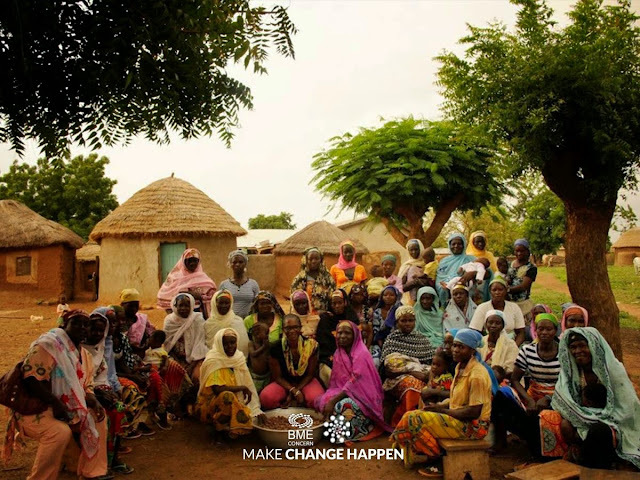 Through the great work done by our team, the medical MOT’s and women’s enterprise projects will push towards our goal to alleviate poverty for these African women and their families. Huge thanks go again to the Nigerian Ports Authority, who now sponsor 7 villages in total! If you want to see this great work, like we have started in these 4 villages, continue and spread to create a ripple effect across Africa, please donate and help us make change happen!